If you happen to be injured in a criminal event in Sunny Isles, you may be entitled to financial compensation recovery. Call our Sunny Isles crime victim compensation lawyers at the Wolfson Law Firm to help you determine whether you are entitled to recover damages. We never charge a fee unless we make a recovery for you. You can reach us right now at 305-285-1115 for free consultations. 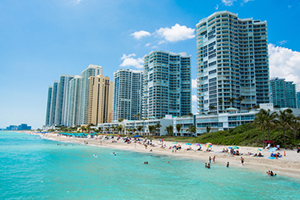 Sunny Isles is a made-for-postcards municipality in Miami-Dade County. It is often referred to as the Florida Riviera, due to its magnificent beaches. It is very small piece of land on the Atlantic Coast, east of the Intracoastal Waterway, and it’s under a real estate development, especially by Russian investors. Even though it’s built long ago, it was only incorporated in 1997. If you didn’t find the criminal event that caused your injury on this list, don’t think that you’re not entitled to damages recovery. These are just the most common ones, but any type of criminal action that causes personal injuries may entitle you to compensation. That is why you are well advised to speak with the best Miami personal injury attorney you can call at your earliest opportunity. The personal injuries that you have sustained as a crime victim in Sunny Isles set you on a three-ways road to financial recovery for damages. First and foremost, you can claim damages from the criminal offender. But honestly, offenders rarely pay damages. Sometimes they don’t get caught by the police, sometimes they don’t have money to pay for damages, and most of the times, the criminal trial takes a while. If you don’t want to wait and endure the risk of no recovery then consider the other options. One of them takes you to third persons or companies who are liable under Florida premises liability laws. Commercial properties, such as retail stores, gas stations, motels, convenience stores, banks, and shopping centers owe visitors a duty of care. This means that they should take all the necessary and reasonable measures for preventing foreseeable crimes from happening on their premises. When they breach this duty due to negligence, it can lead to crimes and personal injuries consequently. Hence, they could be liable for your injuries. The final option is the Florida Bureau of Victim Compensation. If your case meets the requirements set by the law and you provide the necessary documents to support it, you may recover for some of your economic losses. The Sunny Isles crime victim compensation lawyers at the Wolfson Law Firm have assisted injured victims since 1963. In our 50 plus years of work in this area, we have helped many good folks get compensated as they deserve. If you were injured as a crime victim, don’t hesitate to call us at 305-285-1115 for your free consultation. We don’t ask for fees unless and until we recover financially for you.